The Student Association plans to begin a discussion in the coming fall about departmental grade inflation policies. These discussions come on the heels of legislation passed by the Faculty Senate in April 2014, which called for faculty-wide discussions about grading standards every five years, among other stipulations (see p. 1). 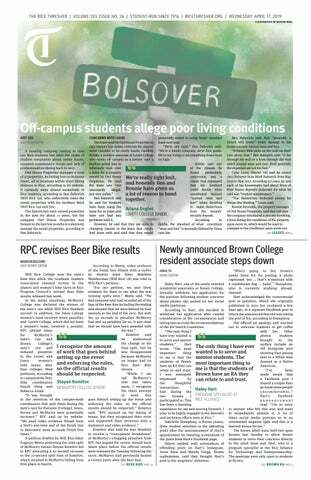 The Thresher supports this renewal of discussion on a subject matter that continues to affect many students at Rice, especially now that the department of statistics has implemented a blanket policy of no more than 40 percent A’s in many of its introductory classes. While it is understandable that a large proportion of high grades in a certain class may be cause for concern, The Thresher maintains the opinion presented in our April 23, 2014 editorial that collaring grades as a response to grade inflation is not an appropriate response. By instating a policy where only a certain percentage of students can achieve high grades regardless of how many points they accrue throughout the semester, instructors engender a system that directly contradicts the spirit of positive collaboration so frequently touted by Rice. If individual professors, departments or the administration wish to see a more even grade distribution, then perhaps looking at course rigor or taking a more nuanced approach is in order. Considerations for major requirements, distribution credits and class content should be made to help determine a change in grading scale, not the performance of the current grading scale. Collaring grades is an arbitrary punishment to students that not only negatively impacts Rice’s academic environment of positive collaboration, but also does not address the root of any alleged problems with inflation. If too high a percentage of students receives A’s, the grading scale should not be the first place the faculty looks for a solution. The Thresher recommends investigating the content of the courses to see if it is appropriately rigorous for Rice students. The Thresher believes the statistics department’s turn to grade collaring is a precedent other departments should not follow. Princeton University recently repealed their grade deflation policy after 10 years, citing how it adversely affected students’ willingness to take risks in course selection, damaged the academic atmosphere and discouraged students from applying to the university. There is no reason a similar policy should be implemented among Rice courses. The Thresher encourages each academic department to consider student feedback in the implementation of grading policies, and to give significant thought to the potential negative consequences of such policies.